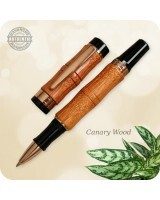 Browse our Gallery of finely handcrafted Rollerball Pens handmade from a wide array of exotic materials such as Wood, Burl Woods, Antler, Acrylic / Celluloid, TruStone, M3 Metal, Carbon Fiber, Corn Cob, Exotic Feathers, Leather and Snake Skin. 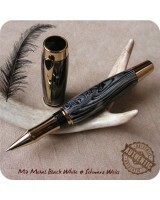 These custom handmade pens are in stock and ready for immediate shipping, to meet all of your gift giving needs! 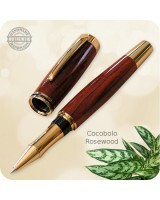 This stunning Broadwell Art Deco Rollerball Pen was handcrafted on the wood-lathe from a piece of ra.. 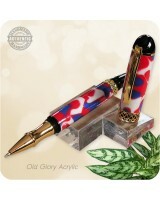 This elegant Apollo Infinity II Rollerball Pen features the revolutionary 3-D infinity band exclus.. 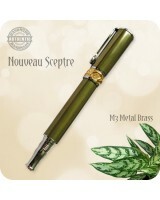 This stunning Broadwell Nouveau Sceptre Fountain Pen was handcrafted on the wood-lathe from a piece .. 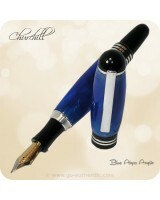 This beautiful Churchill Fountain / Rollerball Pen was handcrafted from a piece of Blue Abyss Acry.. 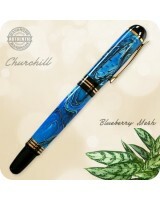 This beautiful Churchill Rollerball Pen was handcrafted from a piece of Blueberry Mesh Acrylic and.. 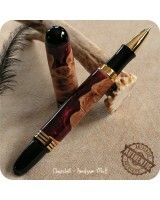 This beautiful Churchill Rollerball Pen was handcrafted from a Burl/Cap piece of Burgundy Fusion A.. 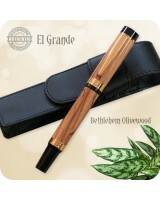 This beautiful El Grande Rollerball Pen was handcrafted from authentic olive wood from the a.. 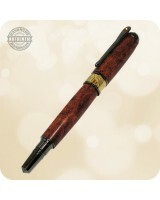 This beautiful El Grande Rollerball Pen was handcrafted from Canary Wood and finished in sparkling.. 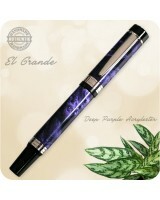 This beautiful El Grande Rollerball Pen was handcrafted from Deep Purple Acrylester and finished i..
Beautiful matching wooden Fountain or Rollerball Pen & Magnifying Glass Desk Set! 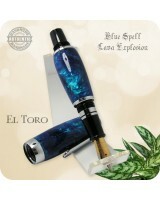 The El.. 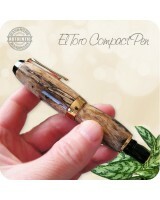 This luxurious El Toro Compact Fountain Pen was handcrafted on the wood-lathe from a beautiful pie.. 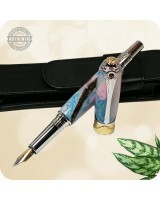 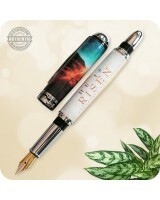 This full size Artisan Gentlemen Rollerball Pen features a bold, classic design and superb writing..